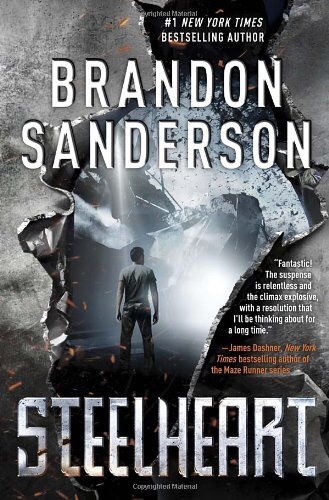 Steelheart is a riveting book about normal people standing up to fantastical superheroes. When Calamity, a giant red star, rises into the sky, normal citizens turn into powerful beings overnight. The world, rejoices as superheroes are born, but all is not as it seems. Society first called them Epic, referring to their awe-inspiring power, but it soon became an insult.The Epics ravaged the land, and claimed whole cities, killing innocents and plundering. David lives in Chicago with his father. They manage through, until David’s father is killed by Steelheart, the self-appointed Epic Chicago King. David swears his revenge and spends the next decade hunting wicked Epics until he stumbles into the Reckoners, a group of normal humans who fight against the Epics. Join David goes on a chaotic adventure to bring Steelheart down. You will encounter Evil Epics who want nothing but death and you will see wronged Epics who are misunderstood. Don’t miss out on this adventure, Steelheart.